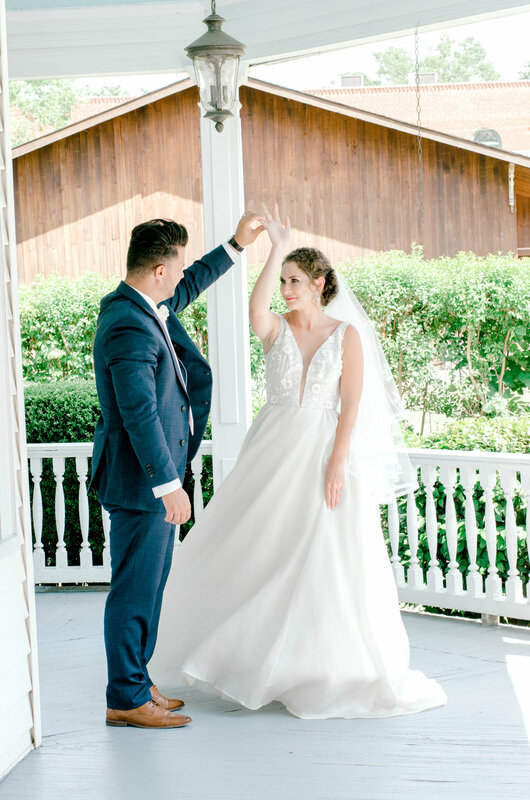 For this pearls and lace styled shoot, Jessica Drew was working overtime: not only is she the owner of new venue, the Thomas House and Garden, but she was also the photographer and stylist! As she set out with her team of vendors to showcase this beautiful 1906 property, she wanted to showcase the space to the best of its ability. "We went with traditional and modern elements ,and a soft pallet to compliment the sophistication of the Thomas House and Garden," she says. The result was a styled shoot filled with romantic, soft, and elegant elements, and one that seemed perfectly coordinated with this historic home. What was the inspiration behind your styled shoot? "The Thomas House & Garden served as our inspiration. The home is a gorgeous 1906 Victorian on the Historic Register. The floral design served to compliment the original wallpaper in the drawing room and looked amazing together! 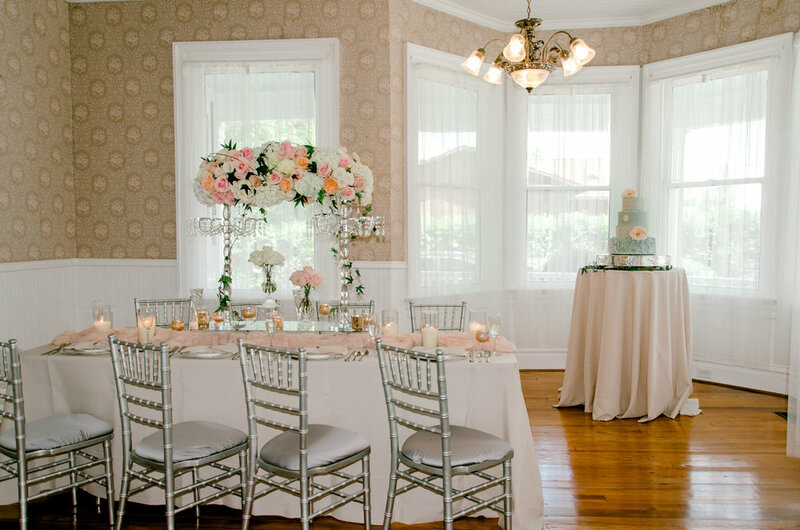 The theme of Cameo, Lace & Pearls fit perfectly in this historic southern event venue!" Tell us about the decor you chose! "We wanted to showcase the elegance of the venue by bringing together historical elements like cameos, lace and pearls and mixing them with modern design. Even down to the smallest detail of the cameos as napkin ties, it came together beautifully!" What made you choose these florals? "The florals were spectacular! 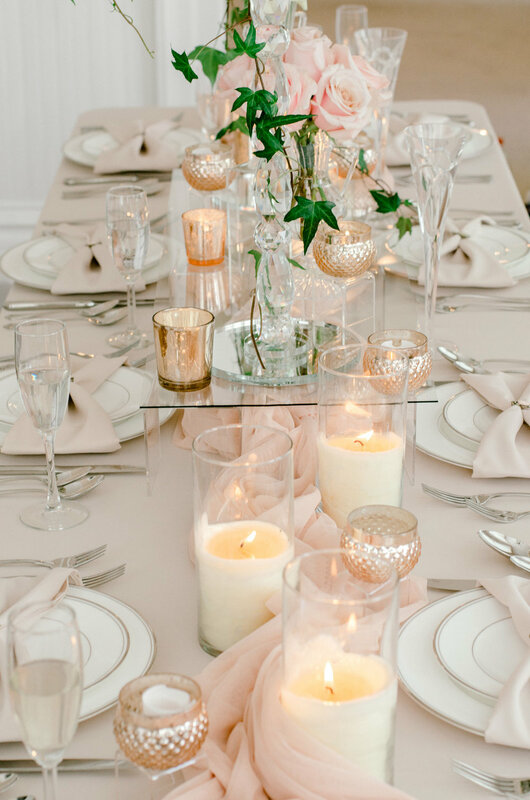 Our centerpieces were overflowing with roses and hydrangeas, perfectly complimented with crystal and candles. The bouquets featured soft pinks and white roses and the bridal bouquet was a complimentary brooch bouquet. The floral design with a gorgeous contribution to the reception styling."